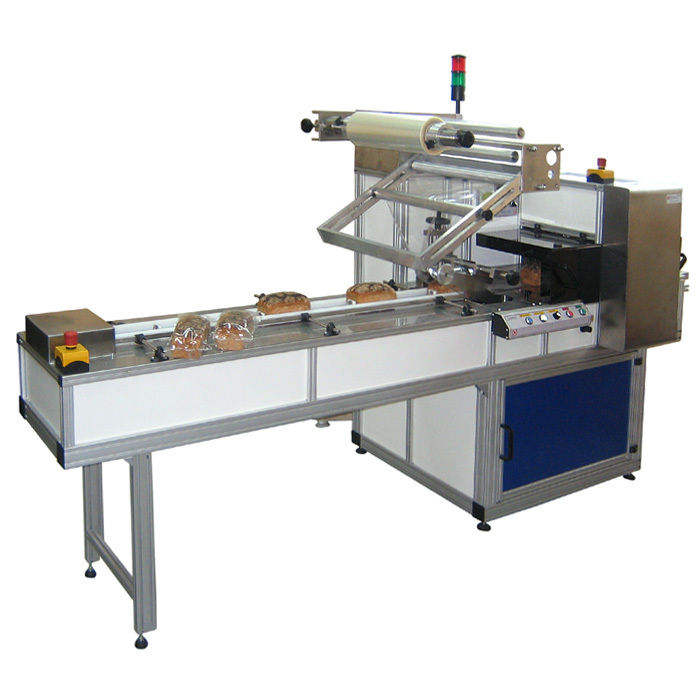 Horizontal packing machine FPS-500 provides continuous packing of different types of solid products during their movement. Operating comfort of the machine is ensured by the programmable logic controller (PLC) and operator interface panel (OIP) which provides visualisation of the present technical data. 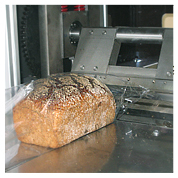 The automatic machine can be operated as an independent unit or a part of the existing processing line. Technical solutions and materials used (stainless steel, aluminium alloys, plastics) constitute robust and reliable design. 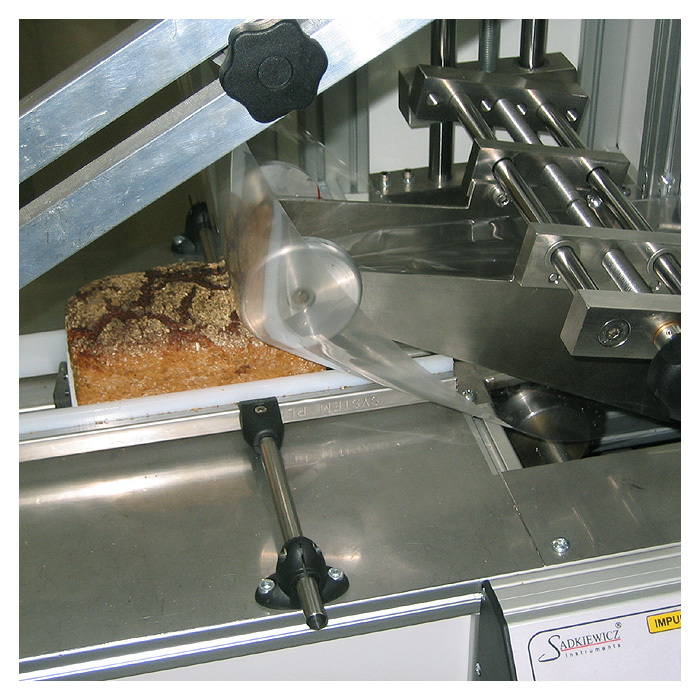 The automatic machine construction also ensures fast change of technical parameters and minimal need of maintenance. dairies, bottling plants of drinks: water, juice etc. Materials used for packing products: thermoweldable multi-layer laminates and PP. 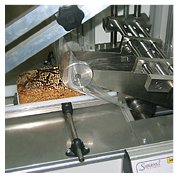 dimensions of a product to be packed: length: 80 – 350 mm, width: 20 – 240 mm, height: 5 – 115 mm. The manufacturer ensures possibility of the machine adaptation to the individual customer’s requirements such as change of dimensions depending on the product, replacement of the single jaw head with double jaw head ( output increase) etc. The above modifications are the independent technological and design solutions.